With the throttle knobs you regulate the supply of combustion air to the fire. 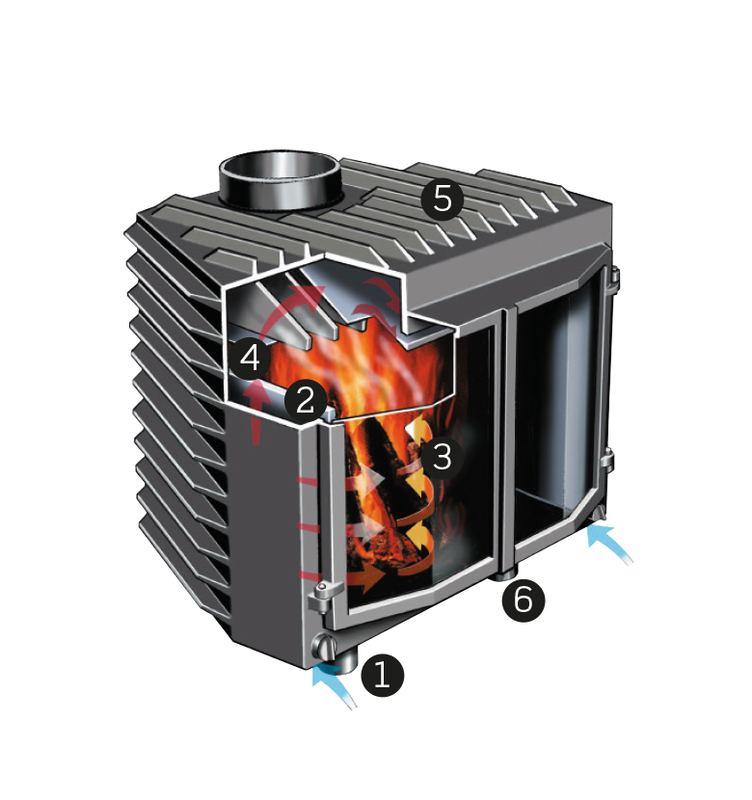 The combustion air is preheated in the air ducts in the sides of the insert. The heated combustion air washes over the inside of the glass and prevents thereby soot to emerge. A fireplate in steel guides the flue gases to the secondary combustion. Thanks to substantial external and internal heating flanges emitting maximum heat to the surrounding air. A sturdy lock latch keeps the doors securely closed.